This bouquet of rosettes, has been decorating my home for about two years now. It's displayed in a shadow box, right in front of my desk. 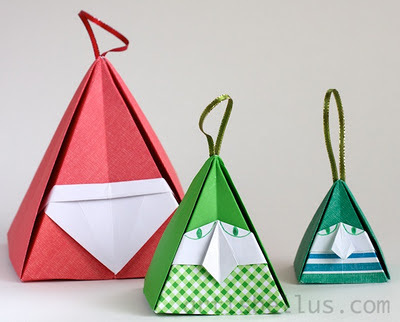 Shadow boxes are similar to picture frames, in the sense that they have a glass in the front, but they are shallow boxes, which make them suitable to display origami models (or other objects) that have volume. 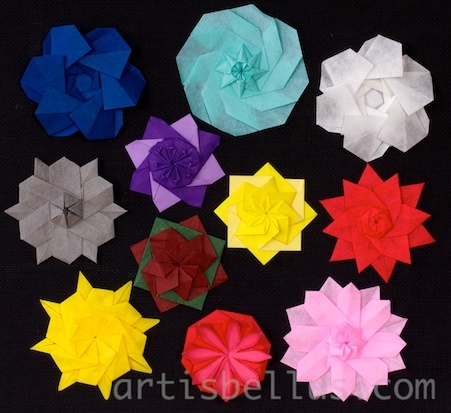 The instructions to fold the flowers can be found in Tomoko Fuse's book, Origami Rosettes, ISBN 9784416309131. 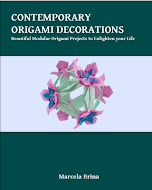 The book contains a lot of beautiful flowers folded from hexagons and octagons. I cut the starting shapes from 6" (150 mm) squares of thin crisp washi paper (single color flowers), hand made tissue-tissue paper (orange/green flower) and duo origami paper (the other three bi-color flowers). All equally as beautiful, as is all your work. Thank you. Your rosettes remind me of "1 part tesselations'. They look beautiful in the shadow box.